Article thanks to the Sydney Morning Herald by Chris Roots (13 December 2018). 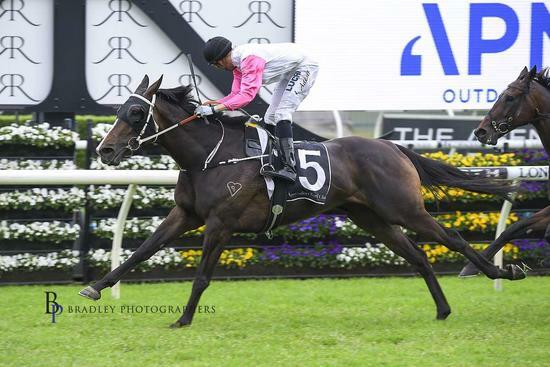 Kembla Grange trainer Kerry Parker watched with a touch of sadness on Sunday as his Queensland Derby winner Dark Dream made a strong Hong Kong debut but he knows racing moves on. He hopes the promising Heartlet can provide his next good stayer in Saturday’s Christmas Cup at Randwick. Dark Dream was a solid third at Sha Tin and Parker was called Kerry Packer in the coverage. “I had a laugh when they said that. He went really well and he is going to be a good horse over there. We got the job done with him here,” Parker said. “I will watch him from now on but my job is get a horse like Heartlet to take the next step and get some black type. “She has got her work cut out on rating this week, but she is an out-and-out stayer and racing well. She is a very nice horse that is up to the next level if not now, next year. Heartlet is racing off a benchmark of 68, a world away from the 100-plus ratings of Christmas Cup rivals Destiny’s Kiss, Our Century, Exoteric and Wall Of Fire. Parker has always had the knack of finding a good stayer. Even before Dark Dream, he had Nextanix, which ran fourth in the 2012 Sydney Cup, Australian Oaks runner-up Aliyana Tilde and Don Raphael, which won a Saab Quality to earn a spot in the Melbourne Cup back in 2004. So he has a good measuring stick for Heartlet, which has had just the 12 starts. He is usually patient but there is reason for her to step up a number of grades with sister Heartlings in foal to Rubick after being retired this year. “I think she has the ability at the longer trips to go with the better ones. We could run in the lower grades but the black type would be great for the family and the owners are breeders,” Parker said. “She has been up a while, so there are two good races for her to have a go at now before she has a spell. “She is maturing and will probably only get better." Hearlet was strong at the end of the Randwick 2400m when she won on Melbourne Cup day and in a strong-run staying test stuck on for second behind Mazaz last time at Rosehill. Parker is planning a run in the Christmas Cup before backing up in the City Tattersalls' Cup on New Year's Day. “Those runs give me confidence to run in these races and I think if she gets into her rhythm she will run a race,” he said.